Ben accepts instructions to act and advise in all areas of Chambers’ practice including private client, property, corporate, employment, VAT, international tax, and customs and excise duty. Ben is qualified to accept instructions under the Public Access Scheme. Ben is currently instructed as sole counsel in a number of high value tax appeals including cases concerning employment taxes, trading loss relief, discovery assessments, taxation of LLPs, amortisation, pensions, SDLT, tonnage tax, VAT, penalties, customs duty and excise duty. He is being led by members of Chambers in cases concerning the transfer of assets abroad regime, VAT partial exemption, capital allowances, corporation tax, partnership losses, double taxation relief and the managed service companies legislation. 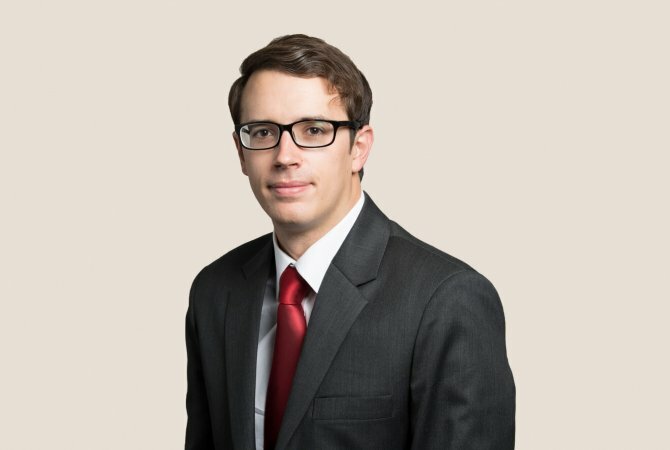 Ben acts in commercial and chancery cases with tax aspects, including professional negligence cases, construction cases, trust cases and landlord and tenant disputes. He also acts in cases concerning other charges, such as Community Infrastructure Levy. Ben is regularly instructed as sole counsel in the High Court and Court of Appeal in judicial review cases involving tax issues. Recent cases concern challenges to jeopardy amendments, R&D credit allocation, the seizure of excise goods, Community Infrastructure Levy surcharges, SDLT assessments, accelerated payment notices and follower notices. Ben is also being led in judicial review claims concerning information notices, HMRC decisions under the PAYE regime, accelerated payment notices and follower notices. Ben practises all aspects of insolvency law and appears regularly as sole counsel in the County Court and High Court, particularly in insolvency matters concerning tax-related liabilities. He also acts in mediations concerning tax-related debts. He advises and lectures on the insolvency and tax consequences of business restructuring, in particular the consequences of accelerated payment notices. Ben is a contributor to Hamilton on Tax Appeals, LexisNexis and Practical Law. He also contributed to the UK branch report to the International Fiscal Association Congress in Madrid on dispute resolution procedures in international tax.